As parents, we often hear about the dangers of giving our children too much screen time. And with smartphones such a central part of our lives, it’s hard to keep them away from our kids. But did you know that there an amazing range of educational apps for children that mean a little screen time here and then is quite ok? 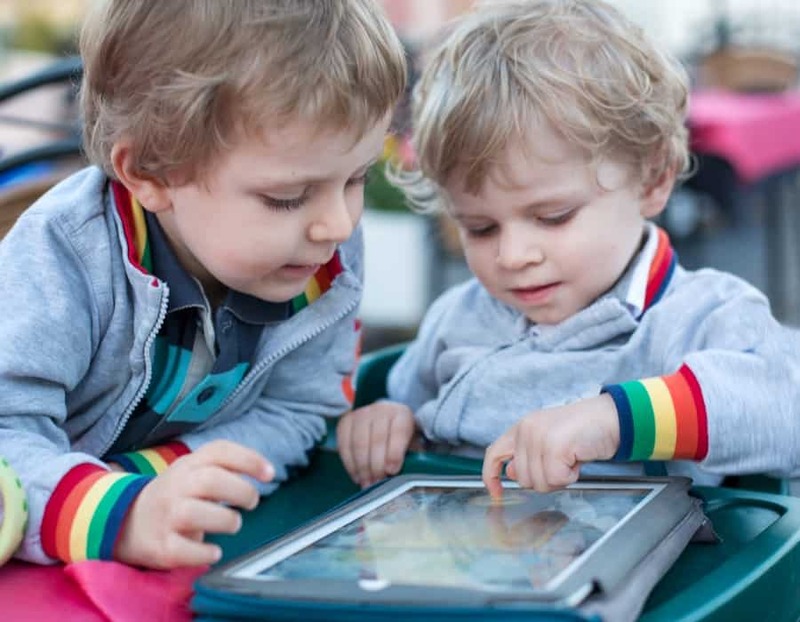 Darwin Family Life has rounded up our list of the best educational apps for children that provide developmental play and entertainment for children, as well as guilt-free time for parents. It is difficult to parent these days without relying on a phone or an iPad every so often. While most parents won’t give their child their own phone until closer to high school, most of them are introduced to doing schoolwork on tablets from around the age of 7 or even younger. Fortunately, you don’t have to feel guilty letting children even younger play with your phone when you need it. It is a fantastic source of peace and quiet in waiting rooms or meetings with your accountant, and can often mean five minutes of silence for mum to have her coffee. Creating an app that teaches children without boring them or talking down to them can be a fine line to walk. Creating something that parents will happily let their children play with can be another hard task. We have found some that we believe walk that fine line beautifully; that are fun for kids while still teaching them and without being annoying or condescending. We have rounded up our list of the best educational apps for children that provide developmental play and entertainment for children, as well as guilt-free time for parents. This one starts around 3 years of age and suits up to early primary school aged children. Super cute with catchy sounds and graphics, this suite of apps teaches the basics of counting, shapes, colours, differentiation, maths, reading, problem-solving and much more. Little kids love this one. This suite of apps is from the team who makes Endless Alphabet and Endless Numbers. Great for younger kids as well, it helps to encourage reading and develop your child’s confidence with their literacy. This app gives hours of peace for parents in ad-free viewing for little ones. Other ABC apps are fantastic as well for games, songs, reading and much more. Children love the familiarity of the characters they know and this helps to engage them and open their minds up to learning. This is a suite of 5 apps which make maths easy and interesting for kids. It contains a range of skill levels and areas of maths, and shows that the younger kids are when they are introduced to maths concepts, the better chances they have of grasping them. We love this one. Covering a broad range of learning areas including science, geography, sports and more, it inspires curiosity, problem-solving and creative ideas. A wonderfully clever and interactive app. This is a lovely simple app which helps your child learn a new language. Effective, interactive and lots of fun. Younger children have wonderful brains for learning a new language – this is a great time to get them started. Another lovely, simple maths app, this one is aimed at most ages in primary school. It is a great app for improving kids’ skills and helping them to watch their own growth and development. We like this one because it’s a little left of centre and adds music to your child’s skill bank. Even children just showing an interest in guitar and starting out will like wading into musical confidence with this one. Even adults might enjoy this one. It works interactively with the immediate practical environment around them. Using this app, your child helps to fix an alien spaceship by taking photos of items around them, encouraging critical thinking and problem-solving. There are several apps in the Thinkrolls suite which challenge children in a variety of ways including teaching them maths and physics, puzzles and more. Great for encouraging both maths and science, even from initially reluctant minds. For ages 6 and up, this is a sweet and fun look through geography, animals, indigenous culture, people and much more. Colourful and engaging, it has voice over and reading capabilities, so can adjust for various levels of learning, and continues to challenge and teach children even as they get better. This one takes the traditional scavenger hunt and upgrades it for the digital age. Several children can interact with each other while searching for certain items around the home. For slightly older children now, this app teaches the beginnings of coding for children from around 9 years and up. This is a great virtual classroom learning app, which allows your children to communicate with teachers about school work and interact with classmates about group projects. It has been designed to compliment schoolwork rather than disrupt or replace it, and schools are supportive of this kind of app. The apps we have listed are all free or almost free. But some may include the offer of in-app purchases. The ones we have listed generally don’t, and it is virtually impossible for children to rack up any extra charges on these. However, you can always turn off in-app purchases from any app in your phone’s settings. If you are ever unsure about the quality of an app for your child, or its age-appropriateness, a great resource is Common Sense Media, which reviews them all.